Quick, reliable, and designed to accommodate all of those heavy-duty loads, the Hotpoint 3.8-cu. 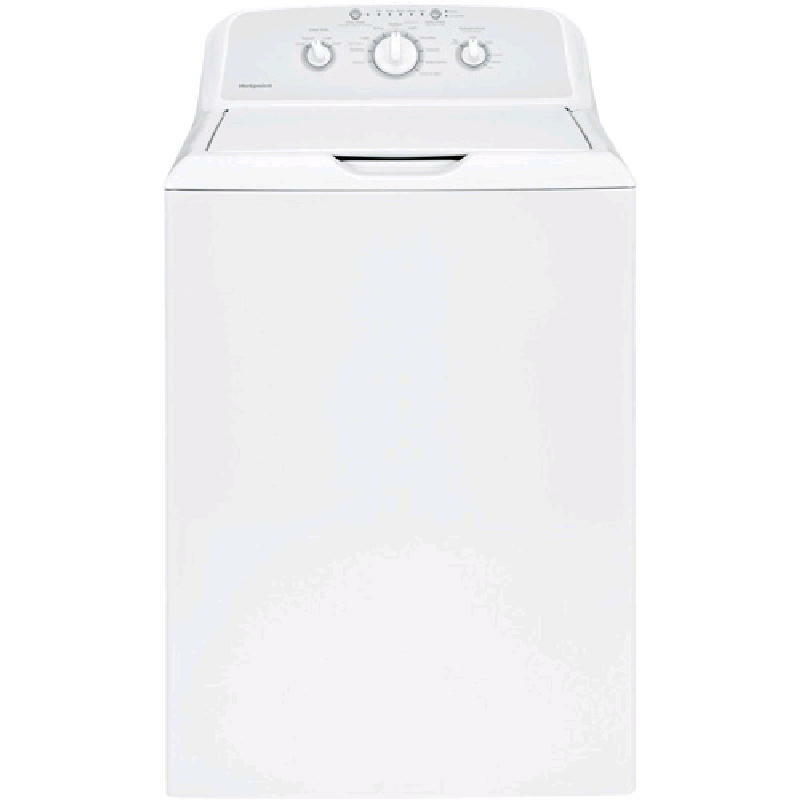 ft. Top Load Washer is the perfect laundry addition to any home. Its top-quality stainless steel construction ensures that the interior will never rust, peel, chip, or cause any harmful damage to even the most delicate of garments. A powerful, rotating agitator and 700 RPM speed offer a fast, unsurpassed level of clean time after time. Complete with 10 cycles, including a Deep Rinse function, rotary electronic controls, and adjustable load size selection, this machine makes washing clothes both simple and efficient.